The good weather is here and you are riding your Victory Motorcycle. What is better than enjoying fine weather while enjoying the freedom of your Victory? Maybe just adding your own music to this adventure. 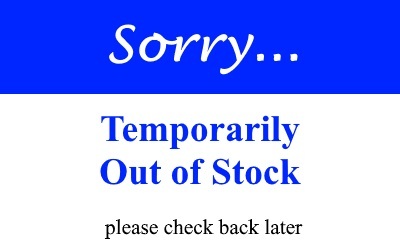 But you bought the new iPhone 5 or a Samsung Galaxy. How do you connect your new phone to the Victory’s stereo? It does NOT fit on that iPod cable. 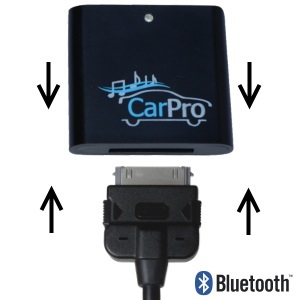 The answer is the CoolStream Duo, a Bluetooth receiver. 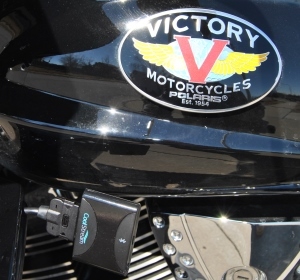 Your phone will connect wirelessly via Bluetooth to the Duo and stream music directly to the Victory Motorcycle stereo. Just plug the Duo on to the Victory’s 30 pin iPod cable. 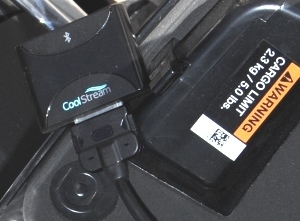 Start your bike and the CoolStream Duo will power on. 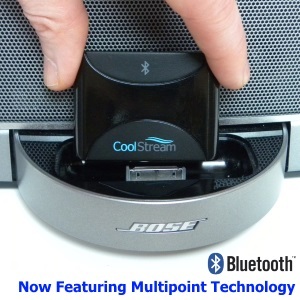 Go to Bluetooth on your phone, and pair to the CoolStream Duo. Wait for it to say “connected” on your phone and then play your music. 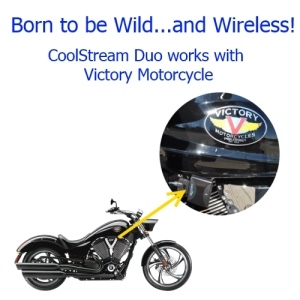 Victory Cross Country Tour owner, Scott from Kansas City Missouri, tested the CoolStream Duo. He says “the CoolStream Duo was easy to pair with his Android phone, and the volume was just as it should be”.